A traditional meal in St. Johns, Newfoundland. Photo courtesy of Deborah Valentine at My Heart Travels. The far-flung Canadian province—the easternmost point of North America—is off the radar of most traveling foodies. But those who do venture to this picturesque historic region will find much more than just its signature cod and blue potatoes. Glacial carving has provided Newfoundlanders reason to call their island “The Rock,” while residents of mainland Labrador understandably refer to their vast northern expanse as “The Big Land” (only 30,000 people inhabit a place the size of Italy). Adventure and opportunity lured explorers to this Canadian province: the Vikings used freshwater icebergs like nautical stepping stones, the Portuguese and Spanish successfully fished its waters, the English and French crowns saw strategic value (King Henry VII of England dispatched the Italian navigator known as John Cabot, who landed here in 1497), pirate Peter Easton used it as a home base to swashbuckle the hemisphere before retiring to the France with a fortune in plundered gold, and Irish immigrants eventually arrived to put their Brogue-accented stamp on area life. 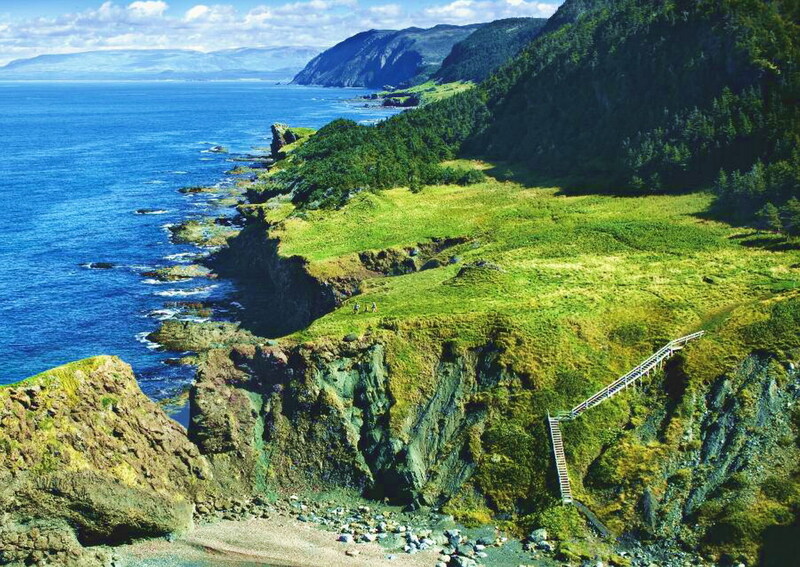 The province’s breathtaking rugged coastline. 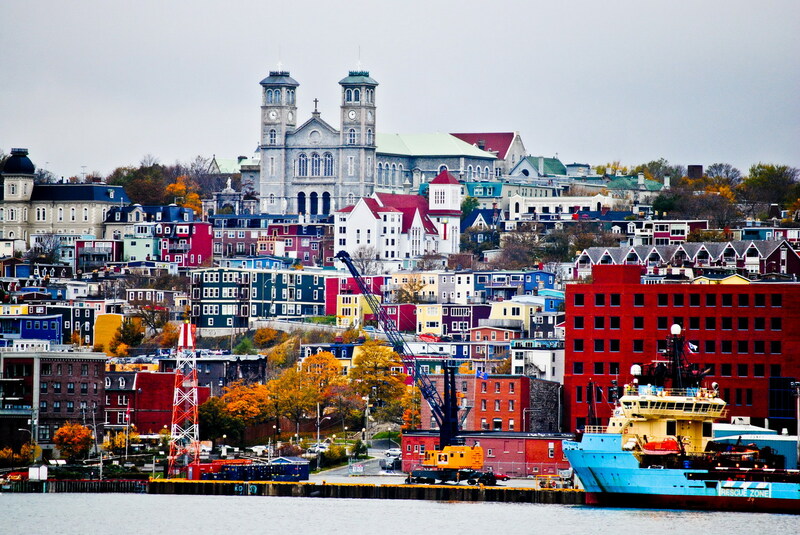 Photo courtesy of Newfoundland and Labrador Tourism. 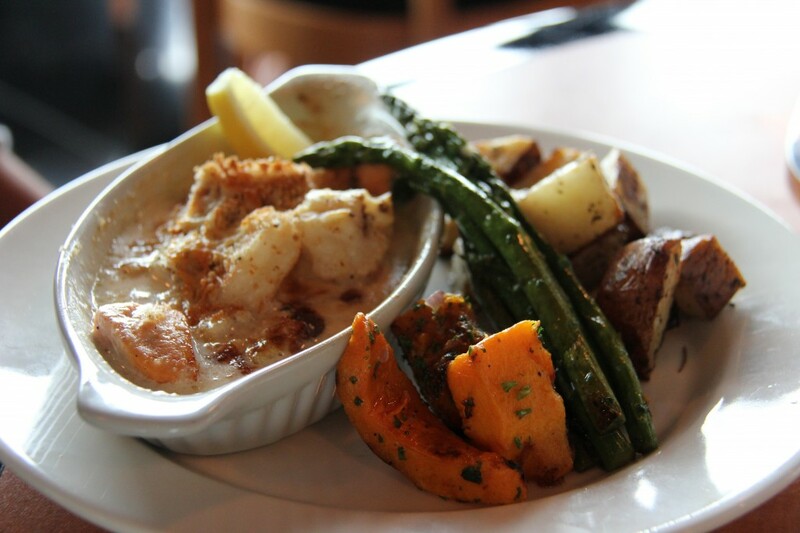 Visit Newfoundland and Labrador and trace the steps of great adventurers while digging into some of the freshest, tastiest foods on the planet, including seafood you’ve never heard of let alone tried (fish and brewis) and all manner of wild game cooked in wonderful ways (caribou stew). While it’s almost certain that the early arrivals to this storied land sought out the hearty warmth of comfort food, no one can be absolutely sure, though it’s a good bet, that many of them ventured into meadows and bogs to forage berries. Today, some two-dozen locally grown varieties and regional foods made from them can be found at markets, roadside stands and the province’s many berry-focused summer festivals (partridgeberries—known globally as lingonberries—are the provincial favorite). Colorful buildings built on land that rises steeply from the harbor in St. John. Photo courtesy of Asmaa Dee. From the array of eateries that dot the streets of the capital, St. John, to the widely scattered farmers of cold-weather produce who take full advantage of one of the world’s shortest growing seasons, Newfoundland and Labrador has a unique food heritage well worth sampling. Bacalao, which became an instant classic after opening in 2007, uses hyper-local ingredients to serve up traditional ‘Newfie’ cuisine with a stylish contemporary twist. Relative newcomer Rocket Bakery & Fresh Food has deliciously filled the shoes of the shuttered landmark, Auntie Crae’s, with baked goods, tasty fare and select groceries. St. John’s Farmers’ Market supports growers of local produce and makers of regional artisan specialties from June through December. The province’s official tourism Web site’s food and dining section is an informative starting point. This entry was posted in Food, Uncategorized and tagged A.H. Jackson, Alan Jackson, Canada food, Canada foodies, Canadian food, Canadian Food Encyclopedia, Canadian foodies, food, Newfoundland & Labrador, Newfoundland cuisine, Newfoundland food, recipes. Bookmark the permalink.